Are you interested in science and want to learn more about seals, birds, fish, or the weather? If so, our free public lectures at the University of Texas Marine Science Institute’s facilities in Port Aransas and Rockport will satisfy your curiosity. The lectures are free and open to the public. Prepare to be utterly engaged and learn more about the local bay systems and those that are far away. Public lectures are offered in Port Aransas at The University of Texas Marine Science Education Center, located at 855 E. Cotter Ave, on Thursday evenings, from January 19th through March 9th. Doors open at 6:30 p.m. and the show starts at 7 p.m. 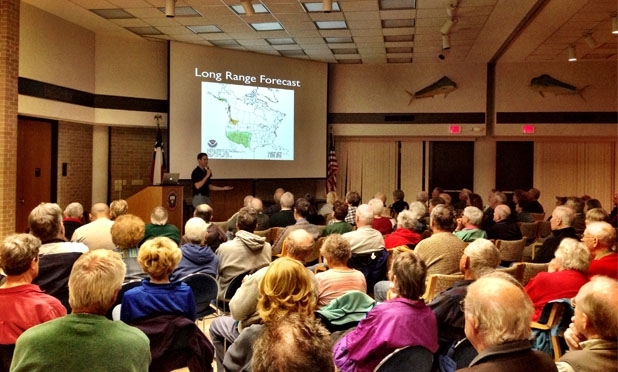 If you're interested in our lectures in Rockport, held on Friday's at noon, click here.